Sebastian Vettel was planning on an epic victory at his home Grand Prix, while Lewis Hamilton – after a dramatic qualifying – was licking his wounds in the 14th spot on the grid. But rain showers totally messed with their plans. The German had the perfect start from pole at home, leading Bottas, Raikkonen and Verstappen into Turn 1. Hamilton started on soft tyres and dropped a place, but regained his position by passing Sergey Sirtokin from Williams. By Lap 11, the Brit had already made his way to P6, but he was 25 seconds behind Vettel. 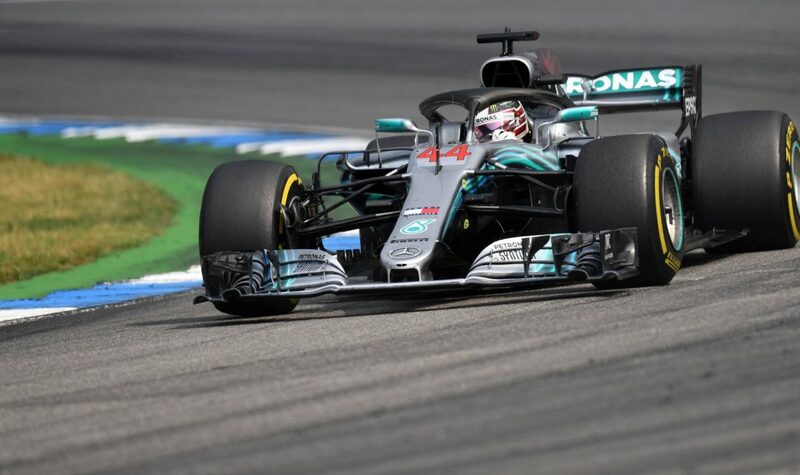 Mercedes kept him on the track for as long as they could, finally calling him in at the end of Lap 42 and putting him on the fastest ultrasoft tyres. It seemed his one and only chance to catch up with the leading squad. But it was pure gamble, as the rain drops began to fall and the drivers went in again to change. The downpour never came, but the showers were enough to put an end to Vettel’s march at Lap 52. He understeered at the Sachskurve and went straight into the tire barrier for his fifth retirement from the lead of a race. 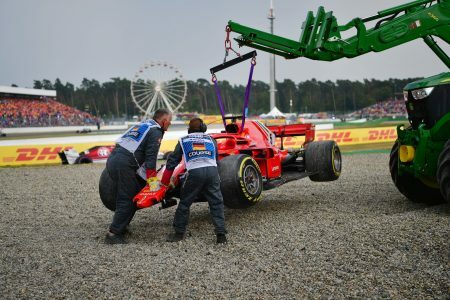 Under the Safety Car, Bottas was called into the pits by Mercedes and Hamilton went across the gras at the pit entry, after having been previously called to pit and, at the last moment, told to stay out. The Briton is currently under investigation by the stewards and might be penalized. With a recent signature on his contract extension, Lewis Hamilton was not even dreaming about it, but he suddenly woke at in the lead. He led home team mate Valtteri Bottas to bring to the Silver Arrows their first even one-two on home soil. 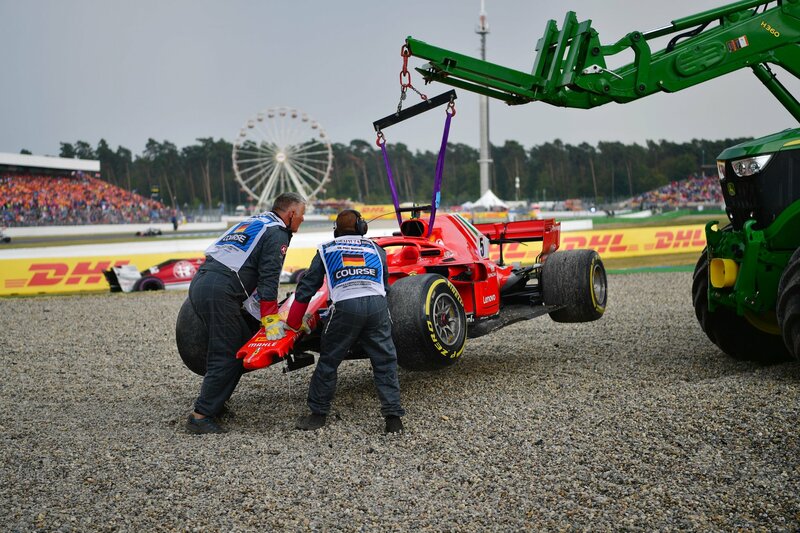 The victory at the German Grand Prix, Lewis Hamilton equals Michael Schucmaher’s record of four successes there. 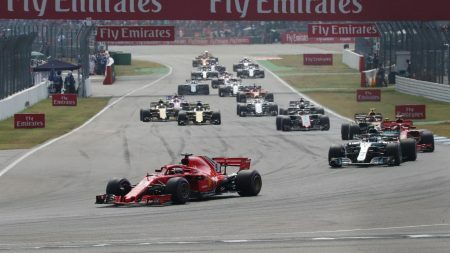 Ferrari’s Kimi Raikkonen made to it P3, while Max Verstappen finished right outside the podium.